Entering the field of big data is no cake walk. Due to the many nuances of big data architecture combined with the fact that it’s so new, relatively speaking, it can be overwhelming for many executives to implement. Or, instead of being overwhelming, there’s simply a lack of experience and understanding. That misunderstanding leads management, all too often, to use big data inefficiently. One of the best ways for companies to learn about big data and how they can effectively implement it is by analyzing those who have used big data successfully for years. Amazon.com is one of those companies. There’s no doubting the data expertise of Amazon.com. One of the key innovators in big data technology, the global giant has given us lesson after lesson on how to successfully gather, analyze and then implement data analytics. Not only has it effectively used big data for it’s own purposes, but with services like Amazon Elastic MapReduce, the company has successfully leveraged its own data use to help others. One of Amazon’s premier uses of big data has been customer recommendations. If you have an Amazon account and you take a quick look at your Amazon home page you’ll notice as you scroll down there are recommendations based on your browsing history, additional recommendations, sale items based on what you’ve bought and searched for in the past. While this type of things occurs frequently today, Amazon was one of the first companies to do this. Amazon has put a focus on using it’s big data to give its customers a personalized and focused buying experience. Interestingly, by giving customers this personalized experience, the customer tends to buy more than they would otherwise. It’s a simple solution for many problems. For companies implementing big data, a key focus needs to be the consumer. If companies want to succeed in big data or at all, the consumer has to come first. The more satisfied they are, the better off you’ll be. It’s impossible to know all Amazon’s uses of big data. Still, though, another lesson we can learn from the online retailing giant is to have an extreme focus on big data gathering and use. Amazon gathers extremely large amounts of data each second, let alone each day and year. At that rate it would be easy to lose focus on what data is being gathered, why it’s being gathered, and how exactly it can help the customer. But, Amazon doesn’t let that happen. It’s very strategic both in gathering data and implementing changes and upgrades because of that data. 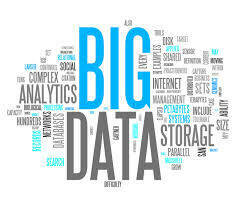 Too many companies let big data overwhelm them. They don’t have a clear focus when they begin, and they never end up obtaining one. The data they’ve gathered goes to waste and they completely miss the opportunity and potential. Amazon is one of the most successful companies today. It’s a true global empire. Consumers shop on Amazon for everything. They are leaders in the e-book, e-reader and tablet industries and they’ve recently entered the foray into TV boxes and phones. Behind all this success is a rock-solid determination to gather data and use it efficiently. It’s gone where other companies were afraid to go and it’s achieved success other companies wish they had. Among many contributing factors, Amazon has leveraged its big data expertise in extremely innovative and effective ways. It’s taken big data to the next level. It has shown — time and again — that big data works. It’s shown that if companies want to take their operations and success to the next level then big data is a key component. Amazon is a great example of big data use. It’s not necessarily about the size of the company or the size of the data that’s most important. As Amazon has illustrated, it’s about tailoring to the customer’s needs, being focused and having a plan and actually using the technology. Big data works for Amazon, now make it work for you.